1868 Indian Head cents are slightly less scarce than the issues that preceded them in the years 1866 and 1867. Still, 1868 pennies are hard to come by, and finding those that are in decent condition can be a considerable challenge. The best bet is to find any 1868 penny that appears to be free of corrosion or damage and has clearly not been cleaned. In total, 10,266,500 Indian Head pennies were made in 1868, and these are worth $40 in the grade of Good-4. With only 600 pieces originally made, proof specimens are much scarcer and retail for $5,750. Between the business-strike and proof varieties, most collectors of Indian Head pennies choose the regular-strike issue to include in their coin collections, as the proof variety is so expensive. James B. Longacre, who served as Chief Engraver of the United States Mint from 1844 through 1869, designed the Indian Head penny. Along with the Indian Head penny, which debuted in 1859, he also designed the two-cent coin; that coin is most well known for becoming the first U.S. coin to bear the words IN GOD WE TRUST in 1864. 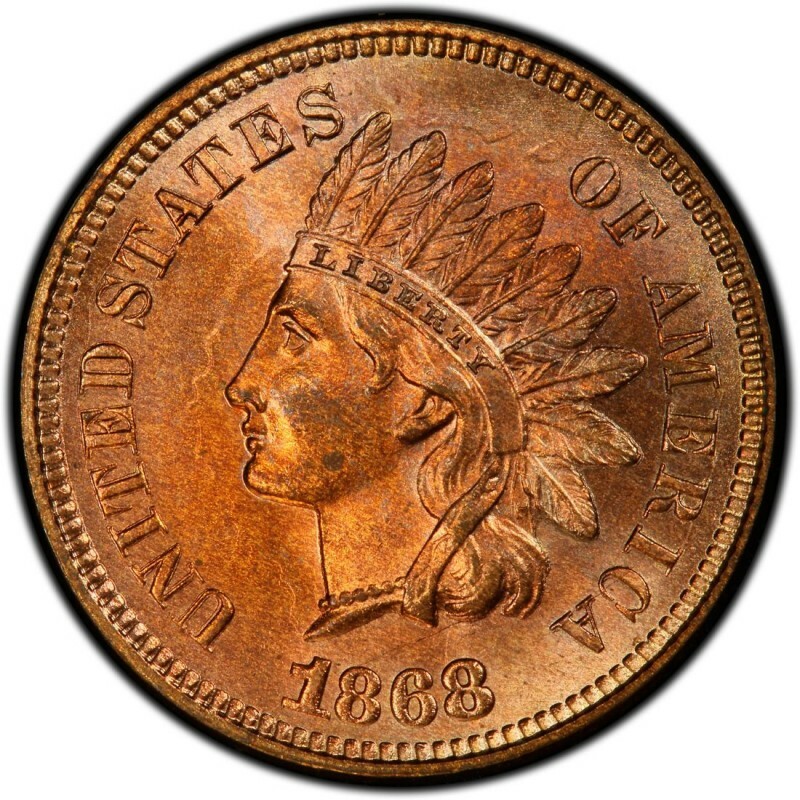 As for the 1868 Indian Head penny, many people think it depicts an actual Native American. However, the lady on the coin is actually Miss Liberty, who was modeled in this case by Longacre’s 12-year-old daughter, Sarah.